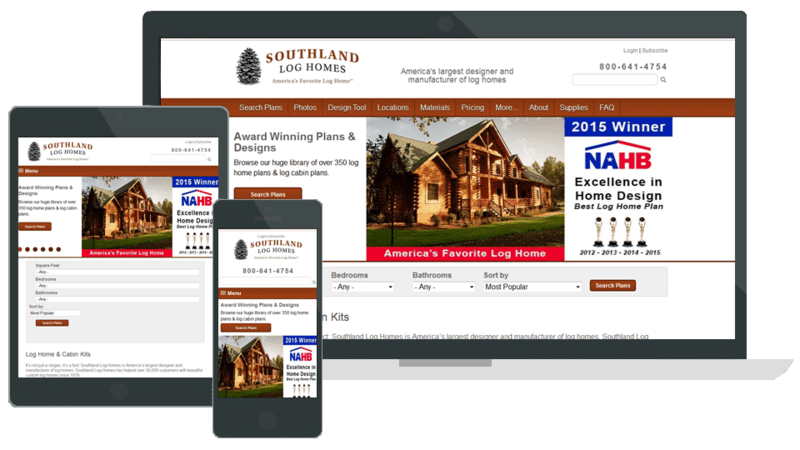 Southland Log Homes contacted GWD because their CRM platform was going to cost a ton of money just to upgrade to Windows 10. Their old platform, Siebel, was a big box software. This forced Southland to change their internal processes to fit into this pre-built software. We built a 100% custom CRM platform that works exactly as they need. In the last few years, we have successfully deployed many projects as add-ons to this CRM. At Southland, they simply call it "the portal" because it is an integral part of their business that their 50+ employees are in throughout the entire day.